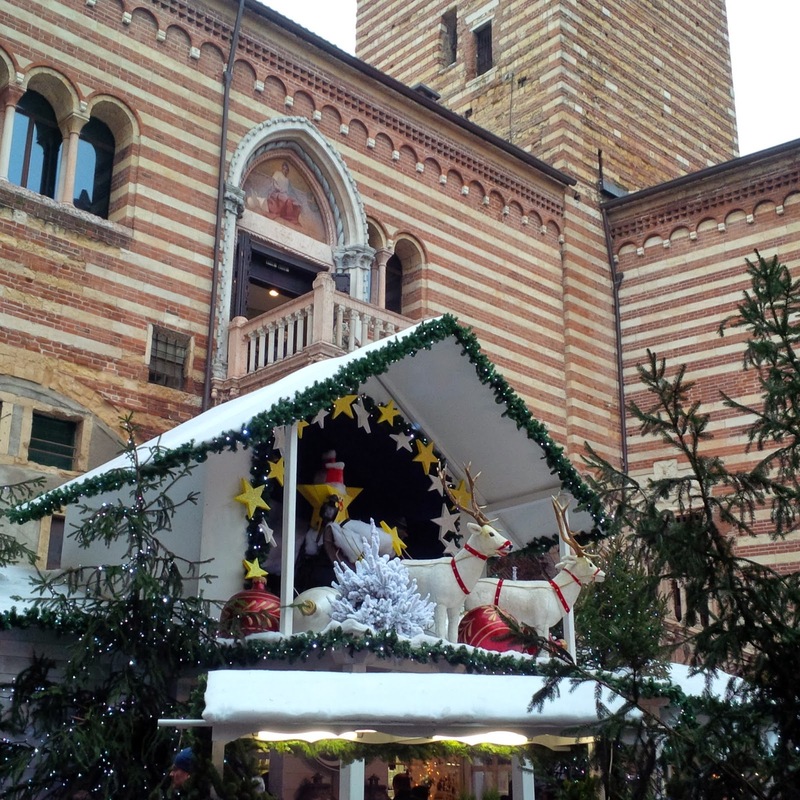 Christmas lights are on, shop window displays look much more festive and if you are lucky, you can catch the occasional Christmas song on the local Italian radio station that I have become a devoted fan of. Hey, there is even snow on the high peaks of the mountains that surround the Veneto’s flatlands. 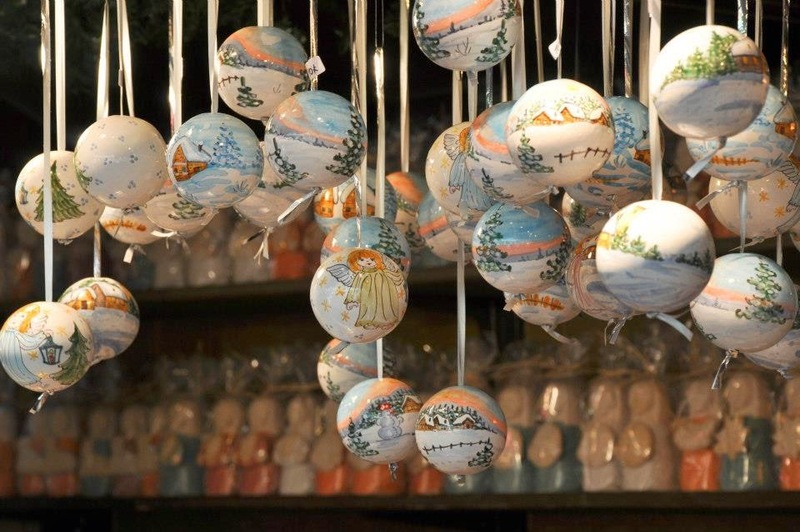 The best thing though are the Christmas markets that have sprung all over the place. 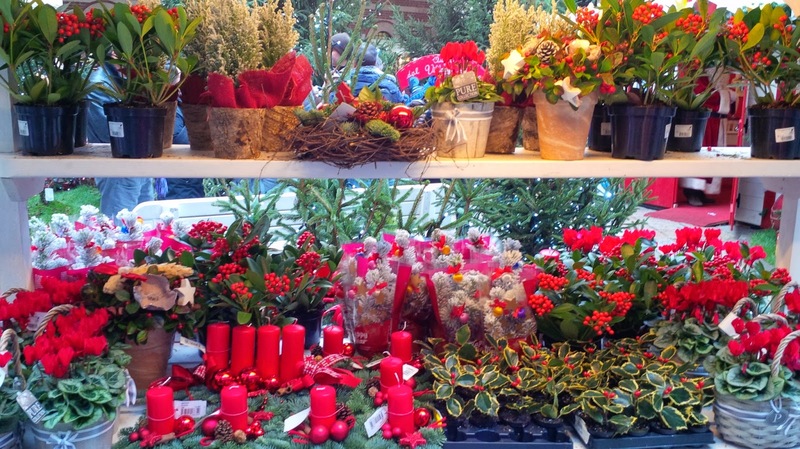 I love Christmas markets! 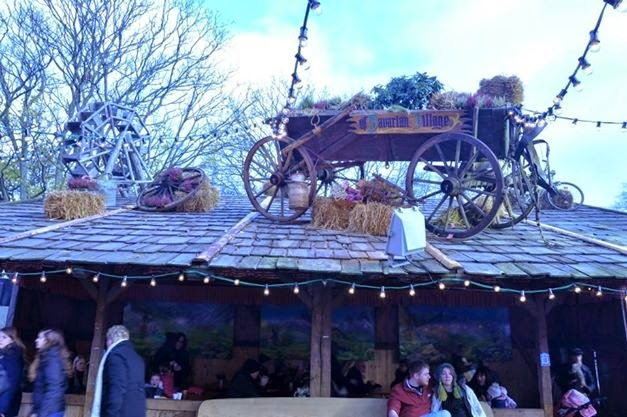 I loved browsing them in London, when we lived there, especially the huge Bavarian one in Winter Wonderland that takes place from November onwards in Hyde Park. Here are some pictures to remind me of those times. 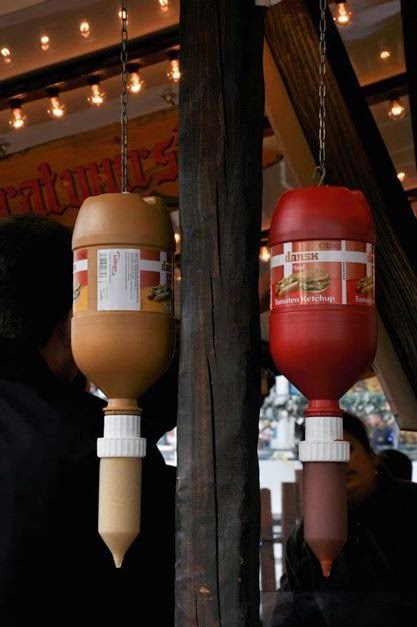 It’s a not a proper Christmas market visit, if you don’t treat yourself to one or two and smother them with copious amounts of mustard (for me!) or ketchup (if you so prefer!). Then we would huddle around the tables and, in spite of the cold, the Christmas cheer would wash over us. 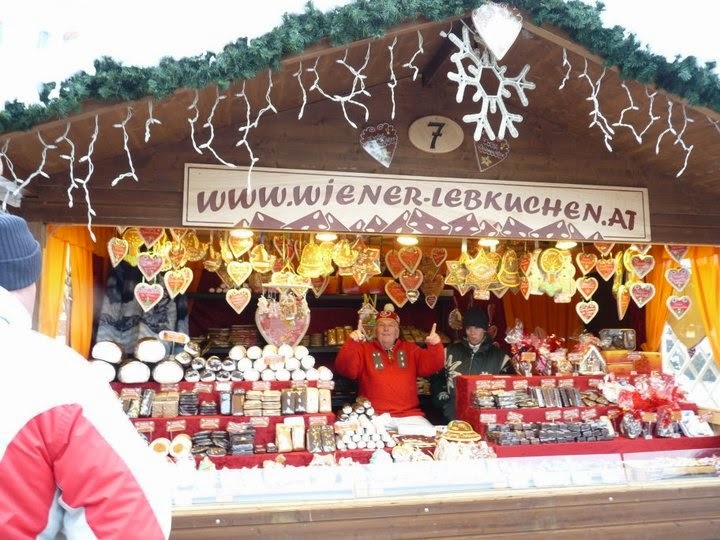 …and the legendary ‘lebkuchen’ baked treats, that are beautiful to look at and very tasty to eat with their spicy and sweet flavours that no German-speaking Christmas would be complete without. 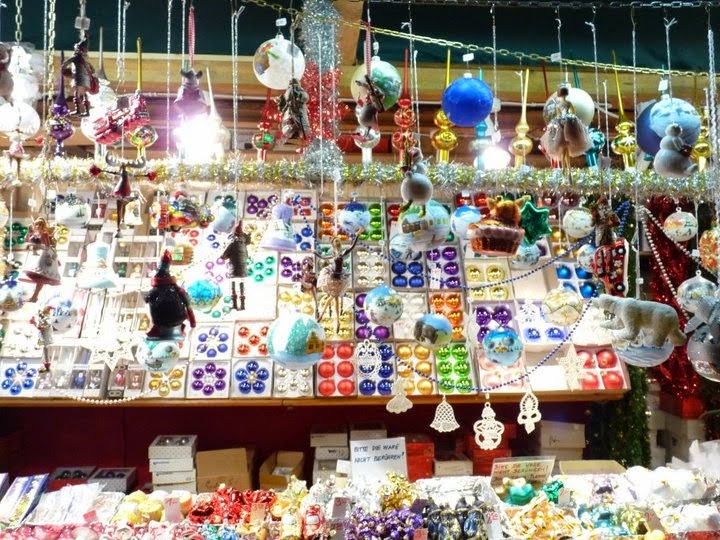 There were lots of Christmas tree decorations too, that were just beautiful to look at. 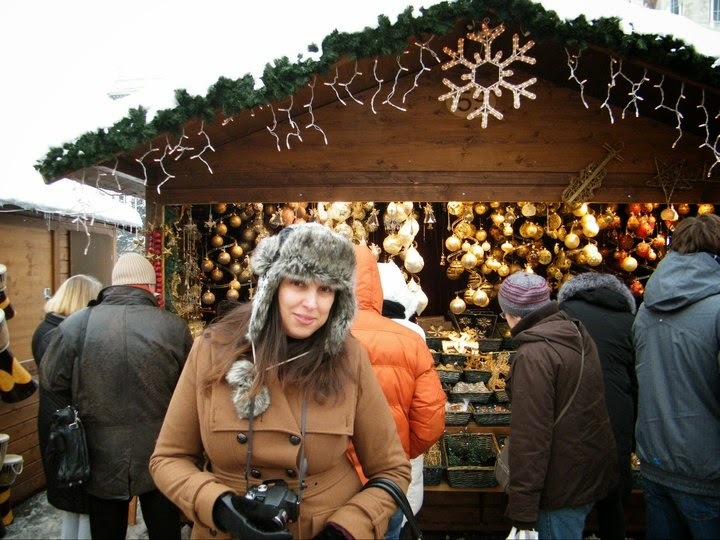 And this is me some years ago in Vienna decidedly full of Christmas cheer and cold. 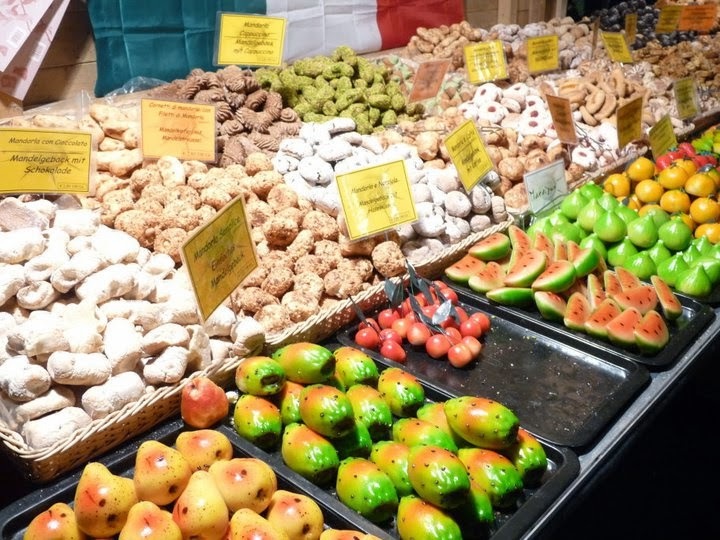 So, now that we live in Italy, I was looking forward to exploring Italian Christmas markets and seeing what local goodies we could sample at these. 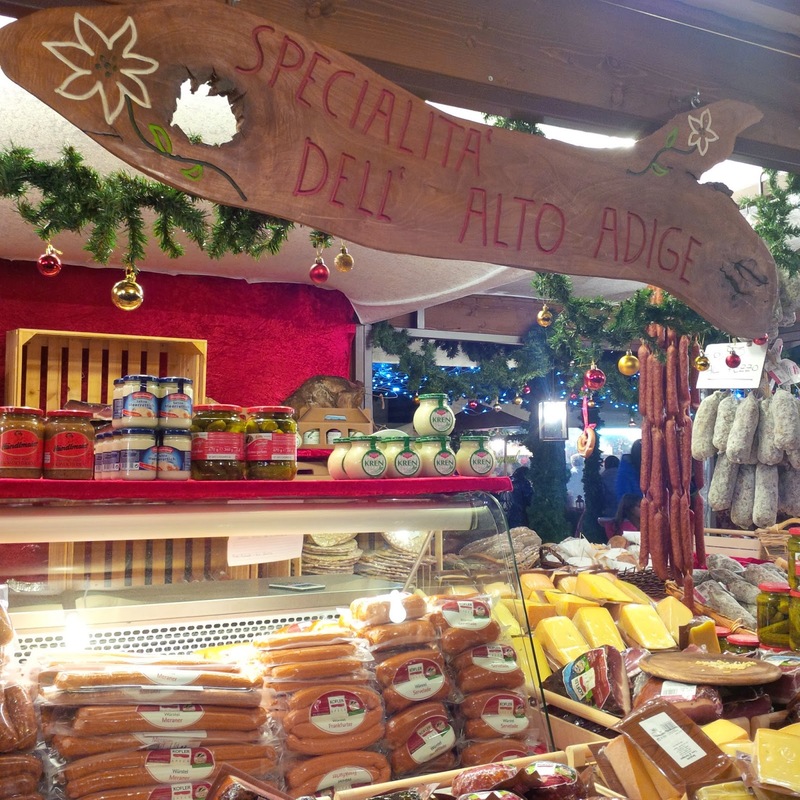 We started with the mercatino in our current hometown of Vicenza and then hotfooted it further afield to Asiago and Verona. …but other than that I have to be honest and admit that we were a bit disappointed. It was all quite small and, for example, the food stall had run out of filling for their piadina flatbread at 2 in the afternoon. As such we had to take refuge in a nearby cafe, so it wasn’t quite the full-blown Christmas market experience we were after. 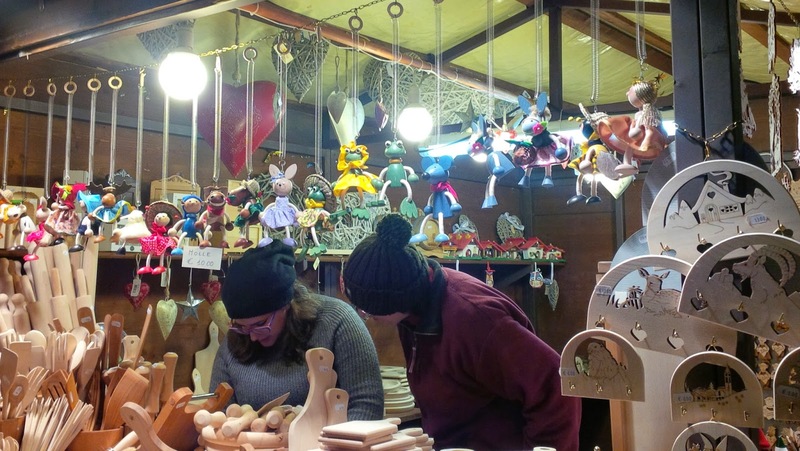 Now, the Christmas market in Verona was the real deal! 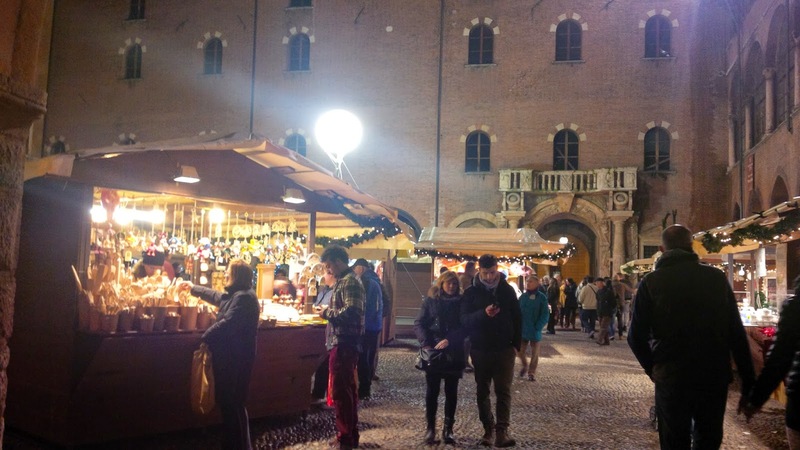 It had taken over several of the old medieval squares in this beautiful city and it was full of people, trinkets, food and joy. 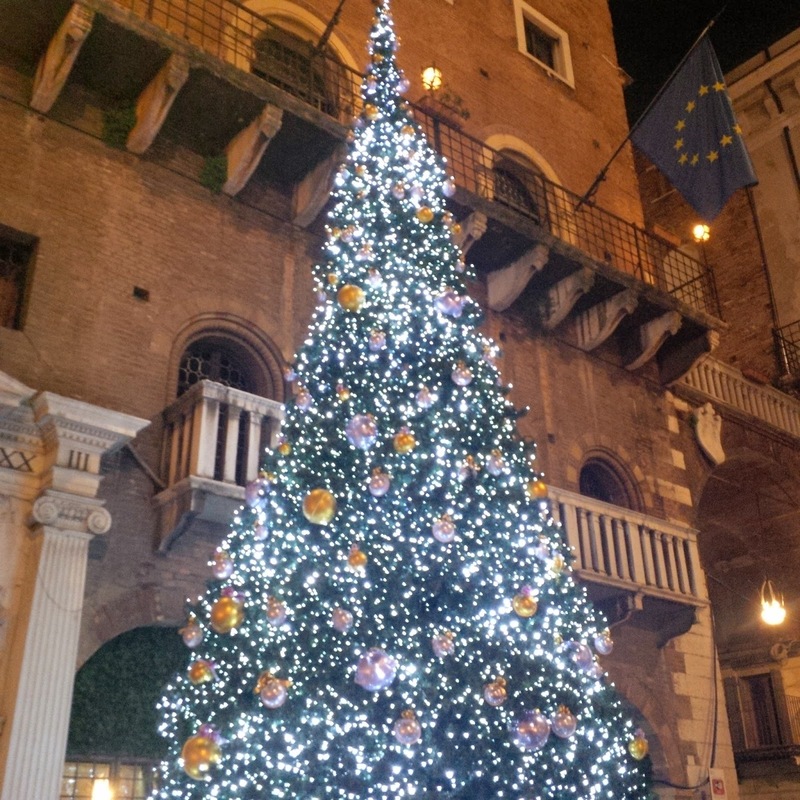 Gorgeous Christmas trees were sparkling with all their might. It was beautiful and magical like a scene from a beloved Christmas ballet and just then… see who we managed to bump in. 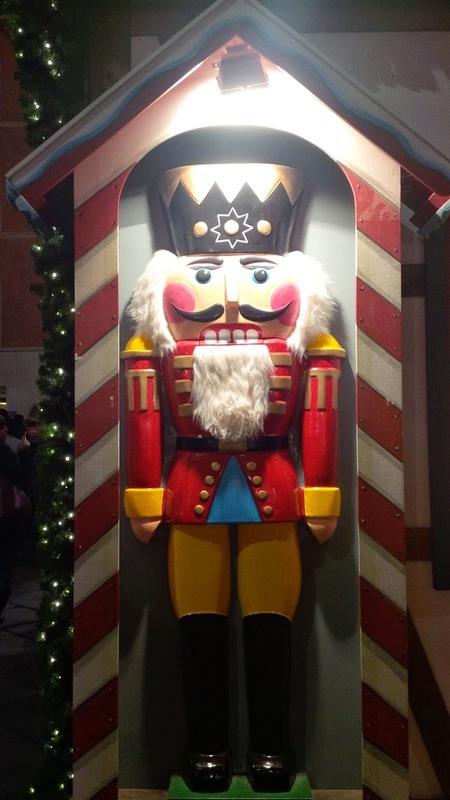 The Nutcracker was standing guard next to a large wooden shop filled to the brim with Christmas decorations and toys. People were queuing to get in! Unfortunately, its aisles were a bit narrow for our baby’s buggy, so we had to give it a miss, but we spent some time peeping through its frosted windows as charmed kids. After succumbing to the festive atmosphere and getting lost in the hubble-bubble of the huge crowd, it was time to explore the stalls. 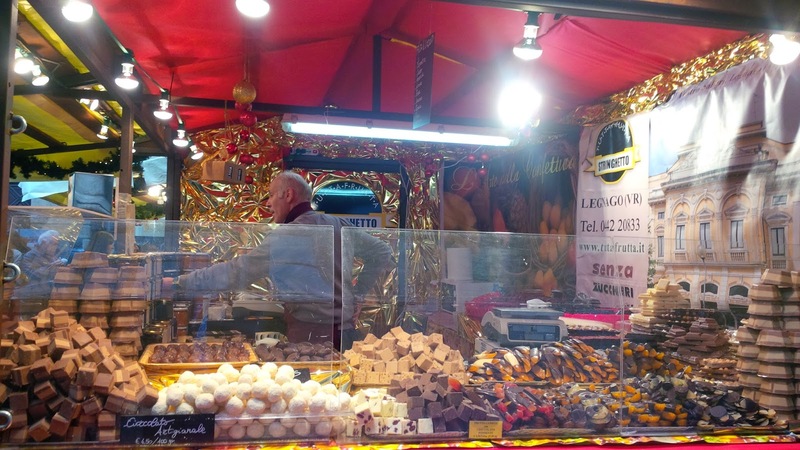 Personally, I was impressed by the number of booths dedicated to my favourite vice – chocolate. Here are just three to whet your appetite. 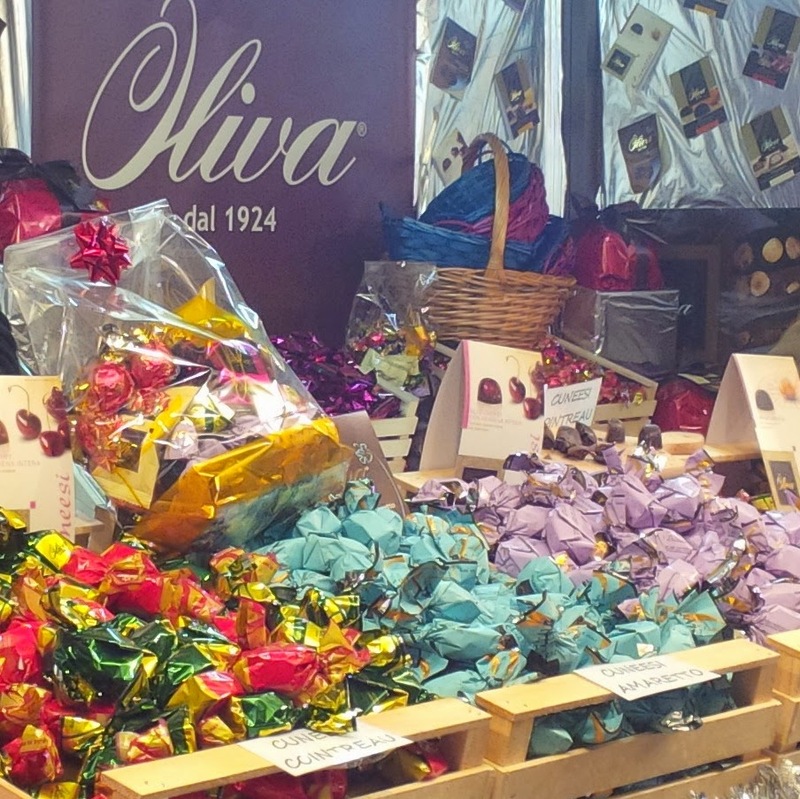 The striped chocolates you see piled up in the corner are called cremino. 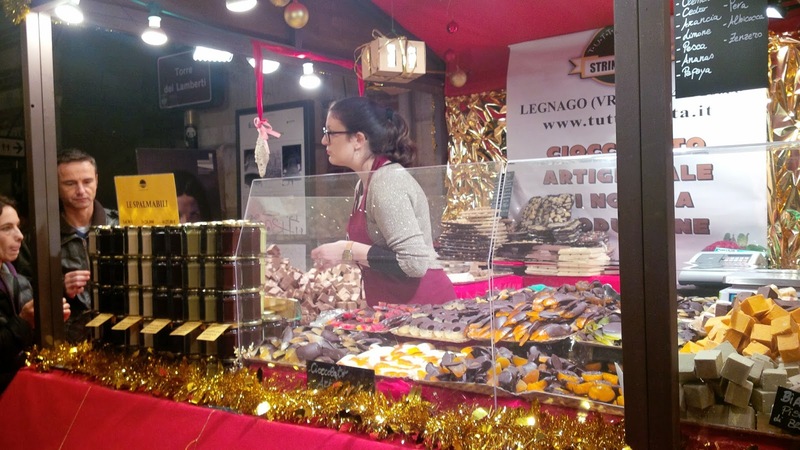 They are made of three layers of chocolate – the outer ones are gianduja and the inner one is usually hazelnut, lemon or coffee. Either way, they are always very nice! Here notice the piles and piles of chocolate-dipped fruit! 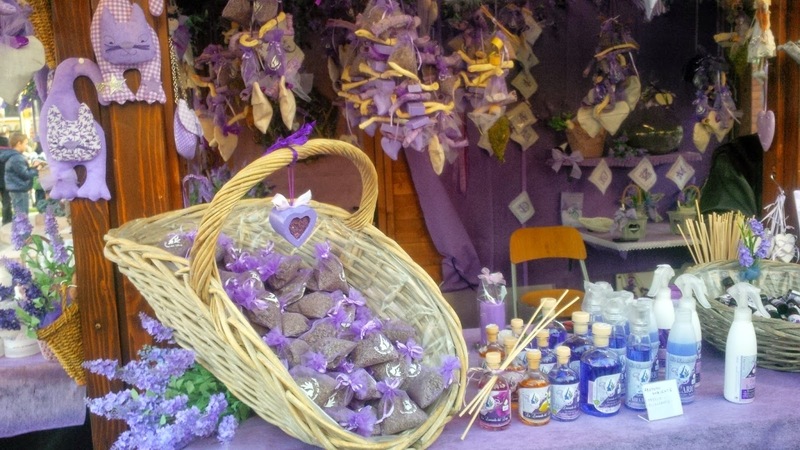 Your attention also deserve the jars under the sign ‘Le spalmabili’. This is basically chocolate spread, but it comes in so many different flavours that choosing one becomes an impossible task. 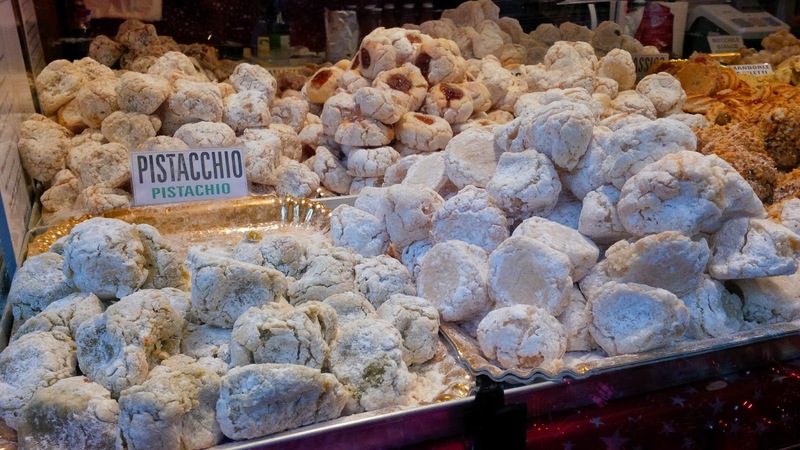 For 10 euro we bought a big bag stuffed with artisan truffles from the stall above. They tasted super nice! 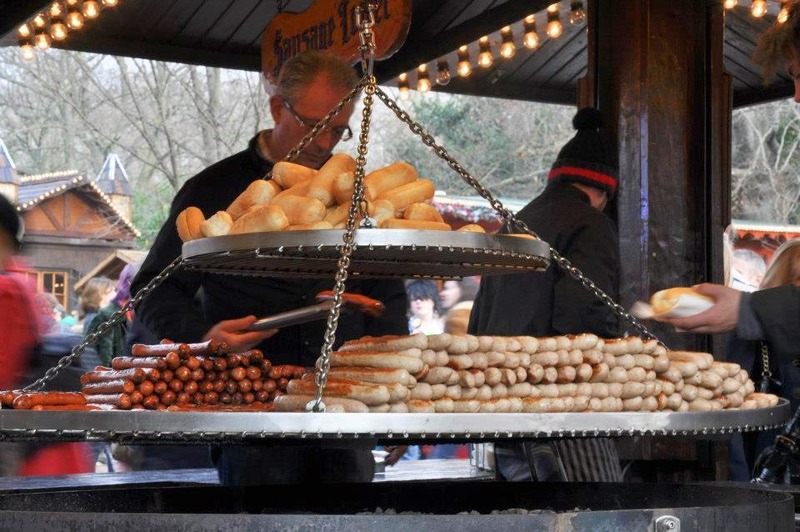 Of course, there were sausages, as well as several other local delicacies, too. My favourite discovery were these sweets. They were soft and chewy and, when you took a bite, they were a lovely green colour inside thanks to the dozens and dozens of ground pistachios that went into each one of them. My husband opted instead for a cluster made of chocolate and roasted hazelnuts. It was spectacular and tasted divine, but it disappeared so quickly, I wasn’t able to take a shot. 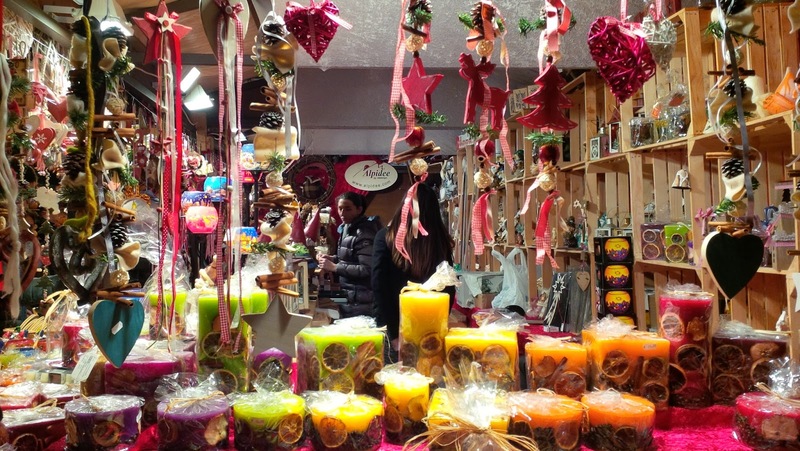 … and explored a couple more stalls. After that and replete with Christmas food and festive joy, it was time for us to call it a night. 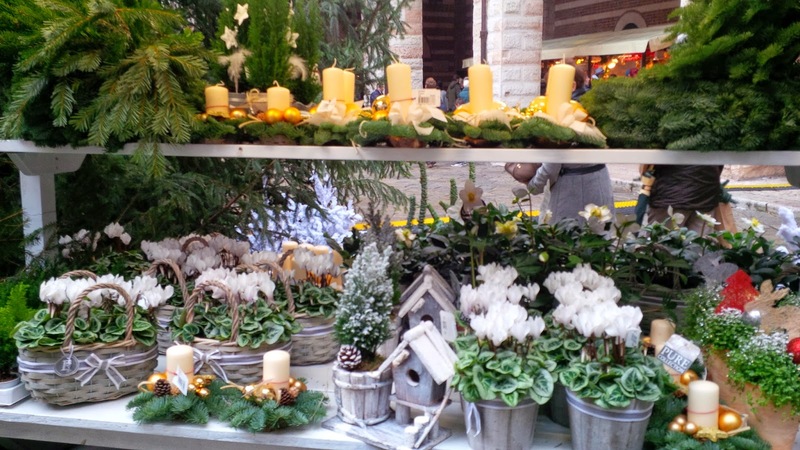 I hope you enjoyed this little walk through some of my favourite Christmas markets. Please, let me know your thoughts in the Comments section below or connect with me on social media. Links to my accounts are at the top of this page.